Click here for complete afternoon schedule. 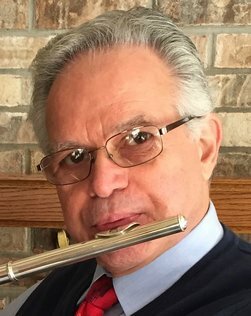 Ricky Lombardo, a well-known and beloved educator, flutist, and composer/publisher, will lead individual coaching sessions for RAFA’s flute choirs and conduct an open mass flute performance of his composition “Renaissance for a New Millennium.” The afternoon will conclude with a concert at 5:00 pm, open to the public at no admission charge. Even if you are not a member of a flute choir, you are welcome to participate in the mass flute choir session led by Mr. Lombardo (3:40 PM rehearsal and 5:00 PM performance). If interested, please contact Amy Holt at amybholt@gmail.com, and she will forward music & details to you.